Play this song after Amandidnine from same album. No difference in chords or musical beat. Gets pendantic after awhile. My 6 year old son just put down his paintbrush to go crazy dancing to this.... Love it! 10 from me, always love to hear this! Thanks RP. Isn't he just saying "stick with women your own age"? The lyrics are up now. . . So. . . let's consider your post. You are 'bothered' about not knowing what they are saying? Is that because you feel they may be saying something weird? Hateful? Anti West? Maybe they are, wait for it, singing about attacking people who hate their way of life! No. . . they are singing about young girls and their loving ways. Can I ask you something? Can I ask you to consider why you felt 'bothered'? Could it have something to do with the Media/Propaganda you have bene served up? . . . Just saying. :) Peace. It could actually be curiosity. Like, "Gee, I wish I knew what he was saying. It would add to my enjoyment/ appreciation/ understanding of the music." The poster did say "But I like the rhythm and the groove." Sounds like he wanted to know more. Language is intended for communication, after all. Editions of poetry written in another language usually include translations so one can appreciate the meaning as well as the musicality of the language. Great segue... From Kan'Nal to Bombino... Loving it. I'm so blessed to have RP and the internets at my disposal. Someone who understands ... Thank you. I was beginning to lose hope. Bombino might be a Tuareg from Niger but this sounds like a variant of Congolese music to these ears. Thatched roof huts, a mud floor, a few beers and lots of dancing. It does not get any better. If the singing is in a language I don't know, then for me the voice just becomes another musical instrument. I can enjoy the sound of it even if I don't know what it means—and there are a few foreign-language tracks I like where the lyrics—nonsense rhymes and word salads and puns—actually make more sense before you translate them! Not having a clue about the lyrics always bothers me... who knows what they might be saying? But I like the rhythm and the groove. Good for a motorcycle trip soundtrack blasting across the Golden Desert of Nevada. This whole album is required listening while enduring United flights. Excellent - it's why we listen to RP! 1 > 2. Can't see it getting to 3, however. Open up your minds people, this music is sublime. If LSD and Bombino had been available at the same time, I'd still be tripping'. My son is riding a motorcycle in Sapa Vietnam this week, but I happen to know this is on his playlist........'cos I put it there. i like the rough guitar work on this. Curious what gear he's using to get that tone. Nevermind, it's a post CBS Strat plugged into a Marshall. Great music knows no borders! God bless you, Bill and Rebecca. Thanks for introducing me to this group RP! I bought their cd last year, and while a lot of it sounds "the same", each cut on it's own, is pretty outstanding (a bit redundant when listening to the whole thing back to back). That said, I'm glad I bought it, hopefully most of the money will go to them to support their freedom and message. Another group that I was able to share with my kids prior to them having heard the music and that always feels good - don't feel so "outdated." Thanks RP for keeping my musical tastes relevant. Fabulous live! Don't miss 'em. Yes. Go see them if you ever get the chance. Yes, I saw them live. Lots of fun...... guitarist and main vocalist is wonderful. Mesmerizing and clad in traditional African clothing. Ils parlent francais. Pretty cool, though I've no idea what's being said. Bet this is great live! Has anyone seen them play? I like it...sounds like English played backwards.. If the singer with the Black Keys singer played guitar with this band it would sound like this guitar - annoying. Well Dan Auerbach, the guitarist and vocalist for The Black Keys, did produce this album for Bombino. So I'm not surprised to see some of his influence on the album. Bombino came to our small town in NH last summer to perform a mix of acoustic & electric. You should definitely catch him if he plays near you! Checked his website for tour dates. He's on the other side of the planet for a while! Bummer. I was in Morocco - Bombino country last week, but all that is played there is the hajuj (3 stringed camel skin guitar) version of this song. This sounds like a festival in Essaouira, which would be a very nice thing to experience. "Bombino country" (did not know that Tuaregs have such a thing) lays another 2000 miles south-east of Essaouira - trust me! Can't tell you much about the geographically appropriate location for the origins of this tune. I just know that it's working pretty well for me, up here at the 42nd parallel!! There's easy listening music...and there's this. I thought he was from Agadir, whereas he's from Agadez. Mea culpa. Despite efforts, I am not able to understood your composition! He's clever that Tom Petty, can sing so many different languages! Love the music and reminds me of one of Dylan's, but sorry, though I have pretty tough skin, the lyrics are scuzzy & offensive to me. What a strange thing Music is - something akin to religion: what sends one person to Heaven sends another person to Hell. 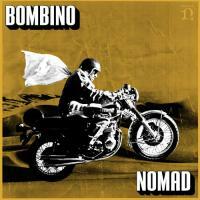 I think Bombino is awesome. In hell, they allow you either one phone call, one text, one IM, or one board posting a day. This is mine today. I agree. Why the low rating? This is excellent stuff. Just got to meet our man Bombino at High Sierra Festival. What a cool guy! And Oh Yeah, he ripped it up on stage too!!! My latest guitar hero. Thanks Bill! This is really cool!! Does anyone else hear Perry Farrell?? Kind of fun, I guess. Odd follow for Blue Caravan, though. I feel like there is a good song in there struggling, and failing, to escape. This live version is not on the Nomad MP3 album I bought a while ago (as far as I remember). The studio version also excellent. Produced by the fellow from The Black Keys. Debuted for my ears at a solid 7. Interesting sound and vibe. Again, please. It is an interesting vibe - nice, raw guitar sound. I have no idea what he's singing about, but it doesn't really matter. Sounds a bit like the group Obesa ba that was around in the 70's.Also has a small twist of Cape Verde guitar. Saw him perform at Forecastle Festival last summer. He has better stuff that you could be playing than this. This sounds too discordant for my taste.